Awarded Deluxe Restaurant of The Year at the 2016 Tourism Accommodation Australia (TAA) Awards for Excellence. As you make your way to the table, be part of the action as our chefs’ chop, dice, sift and stir in the open plan kitchen. Absorb the energetic atmosphere as Chef de Cuisine Craig Sung leads his team in an exciting and innovative direction. Stepping away from a traditional three-course meal, radii restaurant & bar offers guests a sharing style menu that is inspired, refined, featuring flavours from around the globe. Listen and learn as our attentive associates share with you the stories of our suppliers as you sit back and enjoy some of Australia’s best produce and finest wine in luxurious surrounds. Enjoy the ease of complimentary valet parking is available to all dinner guests of radii restaurant & bar. Enter through hotel main entrance located at 1 Parliament Square, off Parliament Place. For group bookings of 8 people or more, please contact our team by phone to make a reservation. To make a reservation, please phone +61 3 9224 1211 or BOOK ONLINE now. For group bookings of 8 people or more, please contact our team by phone. Enjoy the soothing sounds of live music every Friday and Saturday evening from 7:00pm til late. Plan special occasions, birthdays or bridal showers alike in the comfort of our private event venues; Cuba or Private Dining Room. For something a little more extraordinary, explore our exclusive Lime & Tonic dining experiences, ideal for afternoon delights, romantic dinners or dinner parties with a twist. For all our #Foodies out there, you will be delighted to know that complimentary WI-FI access is available throughout radii restaurant & bar. Follow @radiirestaurantandbar on Instagram and then tag us and share your photos with #radiirestaurant and #parkhyattmelbourne. If you enjoyed lunch or Afternoon Tea in The Lounge, then you'll love the cuisine in radii restaurant & bar. Created by the same culinary team, immerse yourself in one of Melbourne's best dining experiences. 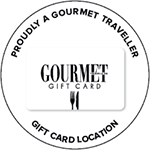 Dine in for yourself or spoil a loved one with a gift certificate - either way it will be a tantalising experience to remember!